We definitely have a job that we love and can honestly say we look forward to going to work everyday!  A special division of the Pretty Haus is our Heli Haus where we help plan heli elopements, engagement sessions and even proposals. Our heli photo shoot team can help coordinate all of the details for you as we have strong experience and knowledge about heli photo sessions and the backcountry cobined with the excellence of our planning and production team. 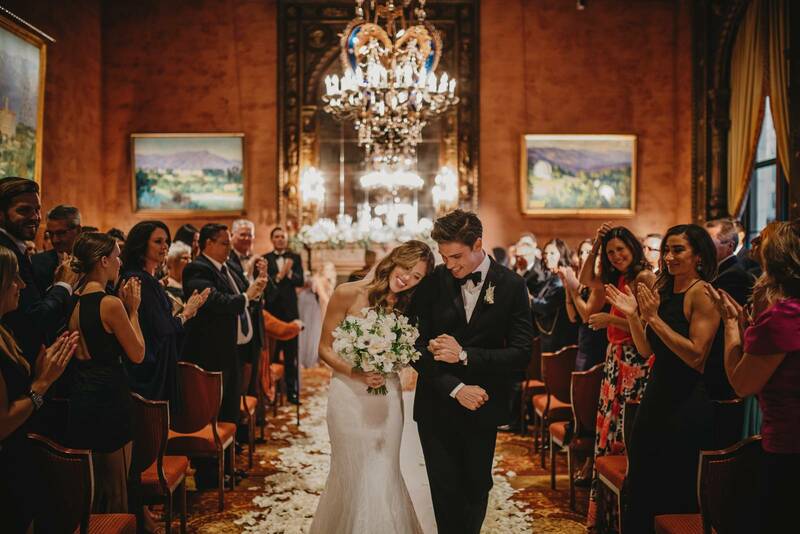 We take care of all the details so you can simply show-up and have the most romantic and memorable experience ever! This heli proposal and engagement session was definitely a special one as it was a complete surprise for Harlene. 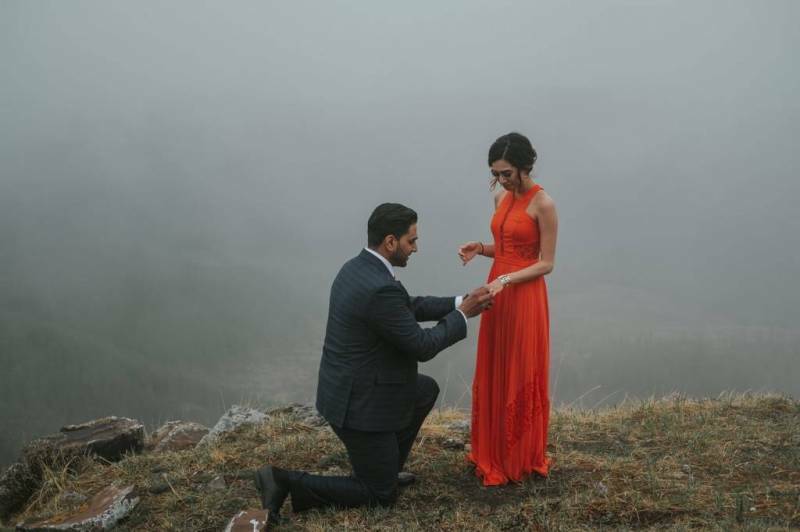 We pulled it off by having Deep tell Harlene that Darren Roberts Photography wanted to do a styled shoot on a mountain top for his website and that he had already put together all of the pieces and they were going to be the models. What she didn't know, was her boyfriend Deep had actually arranged the entire thing as his way to propose. Of course she was completely surprised and Darren Roberts Photography was able to capture their engagmenet photos right after she said "yes!". The Heli Haus is a very unique company as we have strong partnerships with the best heli companies in Kananaskis, Canmore and Banff combined with extensive knowledge of the backcountry to help find the most beautiful locations. 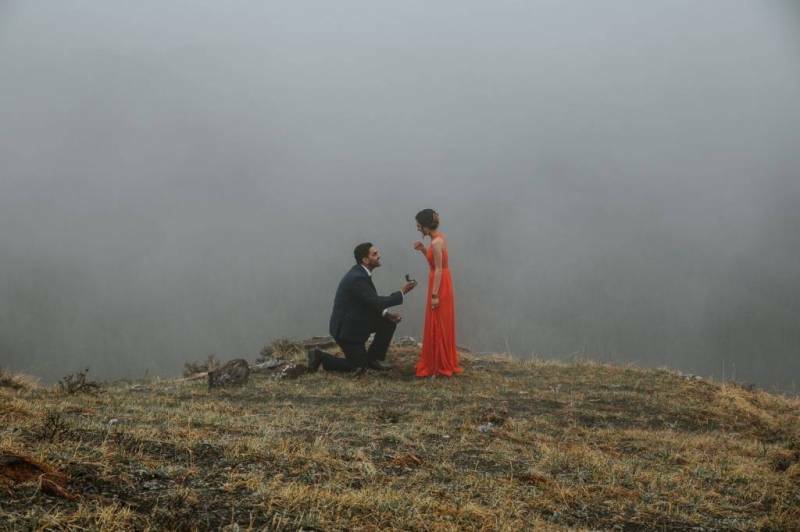 Our team has spent many hours working with helicopters and producing incredible events and photo shoots like this beautiful heli proposal. 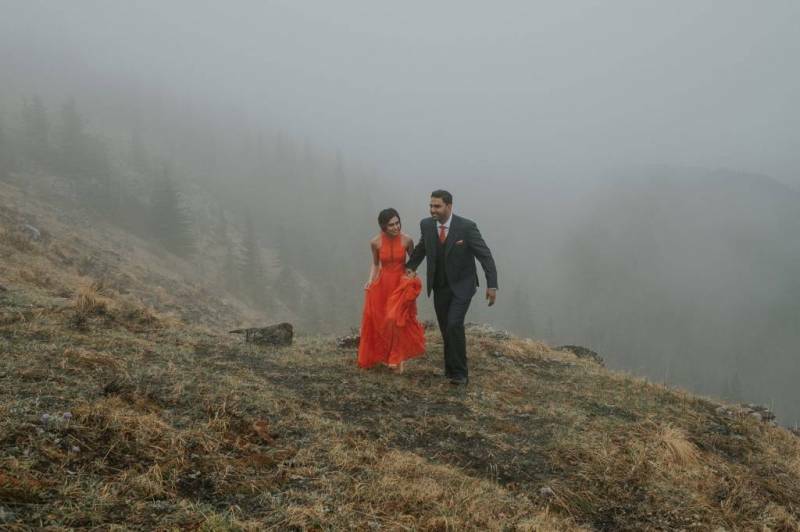 We can help you create timelines, organize details, book vendors and navigate the complexities of coordinating a heli photo shoot, wedding or elopement.